Since Solut's paper baking cups feature coated paper, your tarts and mini pies will also come free easily if you choose to remove them from their cups. 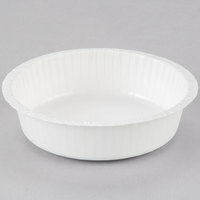 Many of these cups are also microwave safe, making it easy for your staff to reheat a cobbler prior to serving it. 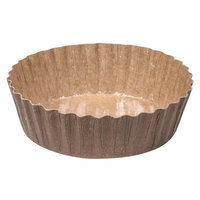 If you want a classic fluted look for your pastries, be sure to use the cups with ridges on the sides. Also make sure to check out other great items from Solut, Ateco, Enjay Converters and Hoffmaster. 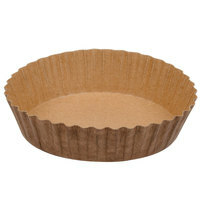 Use Solut paper baking cups to create larger desserts like pies and cobblers. These individually portioned desserts look impressive in bakery display cases, and you can choose from a variety of sizes to suit the exact servings you want to offer. The durable coated paper will also withstand heavier products without losing its strength. 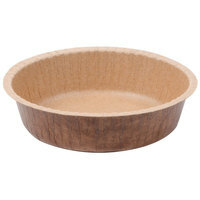 Check out our pie fillings, bakery tools, and rolling pins and accessories for other baking supplies. 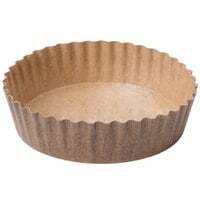 If you're wondering where to buy solut baking cups, we have a large selection of solut baking cups for sale at the lowest prices.